Animation is the illusion of movement produced by viewing a series of still images at a rapid speed. To the right is an animation of a bouncing strawberry, created by displaying the sequence of eleven graphics called frames shown below. The effect is heightened by very slightly slowing the speed at the top and bottom of each bounce. If the images are shown at a rate which is either too fast or too slow, the movement will not be convincing. Animation is an optical illusion resulting from persistence of vision. When an image is viewed very briefly, an afterimage is retained by the human eye for a small fraction of a second. If another image is viewed soon after, the two are blended. For example, below are still pictures of a cage and a bird. If the two images are quickly shown alternately, the flickering illusion that the bird is into the cage is created. Persistence of vision creates the illusion in the thaumatrope, a flat disc with a image on each side which is flipped quickly to produce a merged image. This simplest animation toy was a favorite in the early 1800's. The flip book, also dating back to the 19th century, can be easily created with a pencil and pad of paper. There are many other examples of animation as a form of popular entertainment. The zoetrope is a cylinder having equally spaced slits through which a strip of sequential images can be viewed sitting atop a pedestal. When spun, the zoetrope animates the pictures. British mathematician William Horner invented the "daedalum" or "wheel of the devil" in 1834, which did not become in American until William F. Lincoln marketed the toy as a "zoetrope" or "wheel of life." This amusement is also known as a Victorian zoetrope. In 1877, Frenchman Charles-Émile Reynaud adapted the prinicipal of the zoetrope to design the praxinoscope. The strip of images were now reflected in a serious of mirrors centered inside of the spinning drum rather than through slits on the sides. The praxinoscope produced clearer images of an improved quality. Reynaud later created a larger version of the praxinoscope called the Théâtre Optique that was capable of projecting onto a screen. The earliest surviving American animated film is "Humorous Phases of Funny Faces" from April 6, 1906. The arm of J. Stuart Blackton is shown drawing a face in chalk on a blackboard. A second face appears and both begin to apparently move and show expressions. The effect is simply achieved by only filming the blackboard when Blackton's hand is neither erasing or redrawing the image. Advertised as "a prehistoric animal that lived thirteen million years ago, brought back to life," "Gertie the Dinosaur" was the first animated cartoon character with a distinct, realistic personality. She cried when scolded, for example. 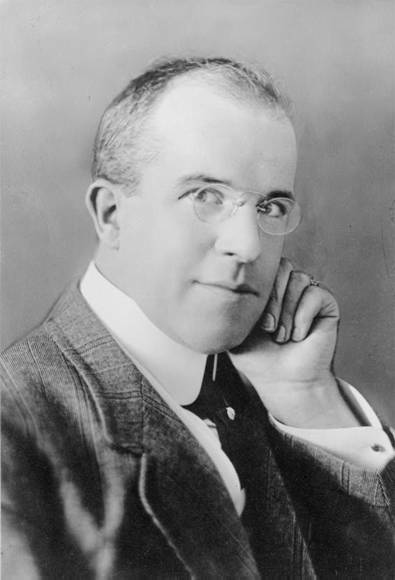 This short silent cartoon was created by Winsor McCay, a pioneer in early animated films, who drew thousands of illustrations on individual sheets of paper that were then recorded as frames on film. Charlie Chaplin was a popular star who made some of the most artistically and financially successful motion pictures of the silent era. 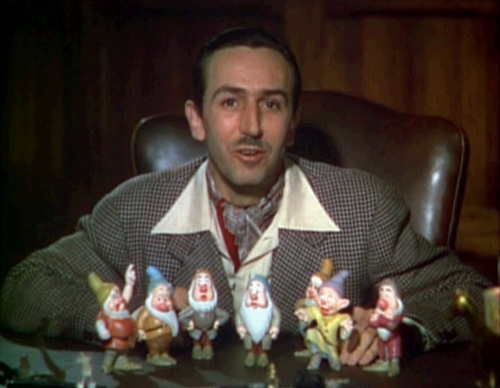 His "Little Tramp" character appeared in countless short movies and several full-length features. Charlie Chaplin wrote, directed and starred in "The Gold Rush," a comedy classic about a prospector searching for gold in Alaska. In one scene, Charlie performs a ballet using two rolls at the end of forks. Produced by Walt Disney, "Snow White and the Seven Dwarfs" was the first full-length Technicolor animation motion picture. The cartoon was created by hand-painting transparent cels which were then photographed and displayed on film at the rate of 24 frames per second. At the conclusion of it's first performance on December 21, 1937, the audience gave "Snow White and the Seven Dwarfs" a standing ovation and it justifiably remains a classic to this day. 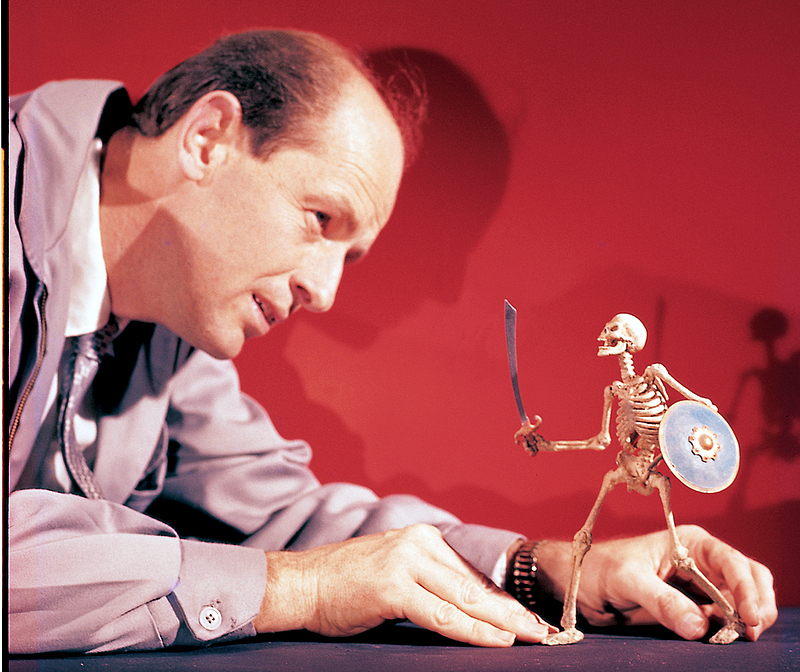 For "Jason And The Argonauts" special effects wizard Ray Harryhausen animated flying harpies, a multi-headed hydra, and an enormous man of bronze, but in the most speculator scene Jason and his men battle an army of sword-carrying skeletons. Computer-generated imagery, or CGI, is the use of computer graphics in films, television, simulations or art. The image could be either two or three dimensional, animated or not moving. The graphics can be designed in a realistic, photographic fashion or in a fantasy style. An example of a 3D animated movie created using CGI is the movie "Up" produced by the Pixar Animation Studios. The graphics are colorful and beautifully rendered while maintaining a delightful, cartoonish appearance. Computer-generated imagery is frequently used for a realistic effect. CGI scenery consisting of buildings, large gatherings of people or landscapes are designed to blend without notice into a film. The audience is unaware that they are viewing a special effects graphic or animation. In "The Perfect Storm," close-up footage of actors filmed in a movie studio is combined with a CGI animation of a boat tossed by a giant, rogue wave. The two combined sequences result in realistic and exciting action. Now it is your turn to make pictures move using the principles of animation to trigger the eye's persistence of vision! Create your own cartoons, for free, using the GoAnimate, Kidzdom or FluxTime Studio websites. There are directions and software for creating stop motion films.